Glenn Onodera was born in November 1942 and raised in Waimea (Kamuela), Hawaii. 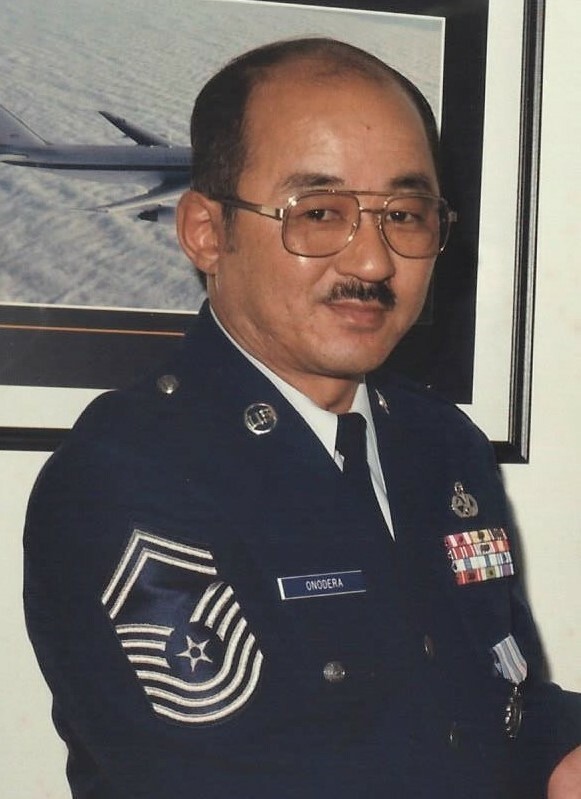 Upon graduation from Hawaii Preparatory Academy in 1960, he left home and attended college in Los Angeles for three years before enlisting in the US Air Force (USAF) in June 1963. Glenn completed basic training at Lackland Air Force Base (AFB), Texas and completed the F-4C fighter Offensive Fire Control System training at Lowry AFB, Colorado. He worked on F-4C fighters at MacDill AFB, Florida. He was then transferred to Pope AFB, North Carolina in January 1966 and retrained into Automatic Flight Control System (AFCS) on C-130 aircraft. He was sent to Hickam AFB, Hawaii in June 1967 to work on C-124 and transient aircraft. After a year at Hickam AFB, he was transferred to Elmendorf AFB, Alaska maintaining the AFCS on C-130 aircraft, F-4E fighter and H-3 helicopter. He attended the Alaska Air Command Leadership School and graduated with honors. He was subsequently se nt to Gr and Forks AFB, North Dakota in 1973 to maintain the AFCS on B-52H bomber and KC-135 tanker aircraft. He was then sent to U-Tapao AB, Thailand in 1974 to maintain the AFCS on B-52D bomber and KC-135 tanker aircraft. A year later he was transferred to Travis AFB, California to maintain the AFCS on the C-141A/B and C-5A aircraft. He graduated from the Air Force Non-Commissioned Officer Academy at Norton AFB, California. In 1978 he was transferred to Military Airlift Command (MAC) Headquarters in Scott AFB, Illinois to become the Command’s AFCS Functional Manager. He managed all facets of AFCS support for MAC aircraft. He was then transferred to Norton AFB, California in 1983 as the AFCS/Instruments/Electric Branch Supervisor. He graduated from the USAF Senior NCO Academy at Gunter AFB, Alabama. In 1986 he was selected to represent MAC in the McDonnel-Douglas C-17 plant at Long Beach, California, and was transferred to Los Angeles AFB. He was the Chief of MAC’s Opera ting Loc ation with five highly qualified technicians assigned to provide maintenance oversight during the engineering design of the C-17 aircraft systems. He first came to Lakewood in 1986 and liked its beautiful parks, wide boulevards, and clean communities. Upon retiring from active duty as a Chief Master Sergeant on 1 January 1990 and gaining employment with McDonnell-Douglas in Long Beach, he and his wife rented a house in Lakewood and eventually bought a townhouse in West Lakewood in December 1990. Glenn and his wife lived in Lakewood after retirement from the US Air Force on 1 January 1990.